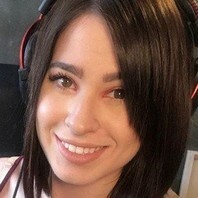 Twitch streamer and YouTube gamer known by the gaming community as anisajomha. She is known for her podcast-styled streams where she discusses a variety of subjects and she has also streamed League of Legends gameplay. She has earned more than 220,000 followers on Twitch. @fuckingweebx Bless her for teaching actually. You have to do it out of passion and I really respect that.